Login notification is just for security purpose. When you will set "enable" for get login notification then you will receive notification on you mobile and Email Id after Login in Facebook account. you can set it by following step. >> Login in your Facebook Account. >> Open your Account Setting from top right Corner on your screen. >> Now, Click on Security on Left Side on Screen. >> Click on Edit on Login Notification. >> Now Click on Check Box of Email and Text Message. >> Click on Save Changes Button. >> That it!! 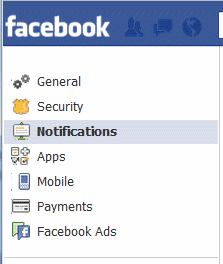 When you'll Login on your FB account you will Receive Notification Message From Facebook.